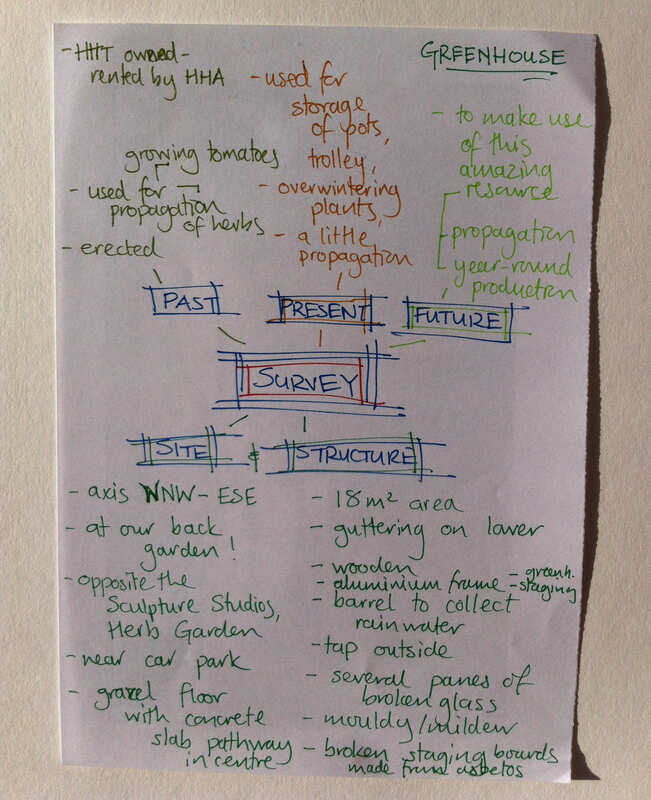 In the survey stage, I surveyed the greenhouse, invited community input and gathered information on other ecological and permaculture greenhouse designs. 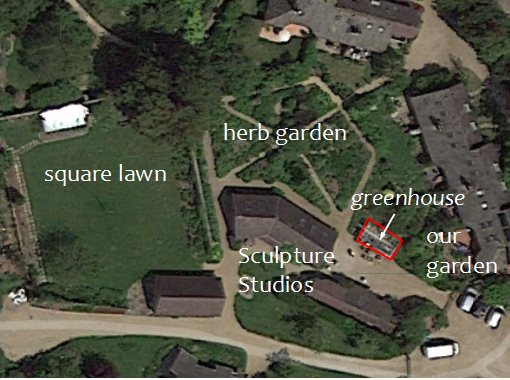 Here is a map of the greenhouse and the surrounding area. And here a base map. 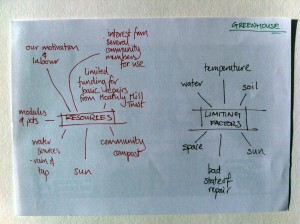 In general the greenhouse offers protection from the elements and of course captures solar energy. In the summer the greenhouse receives full sun. In winter because of the proximity of the Sculpture Studio, there is a lot of shading. The door offers protection from wind funnelling between the surrounding buildings and turbulence from the more open areas towards the north east: of course only if the door is closed. Hoathly Hill is in general subject to strong winds. Images of mid-morning sun and maximum sun in mid-winter. 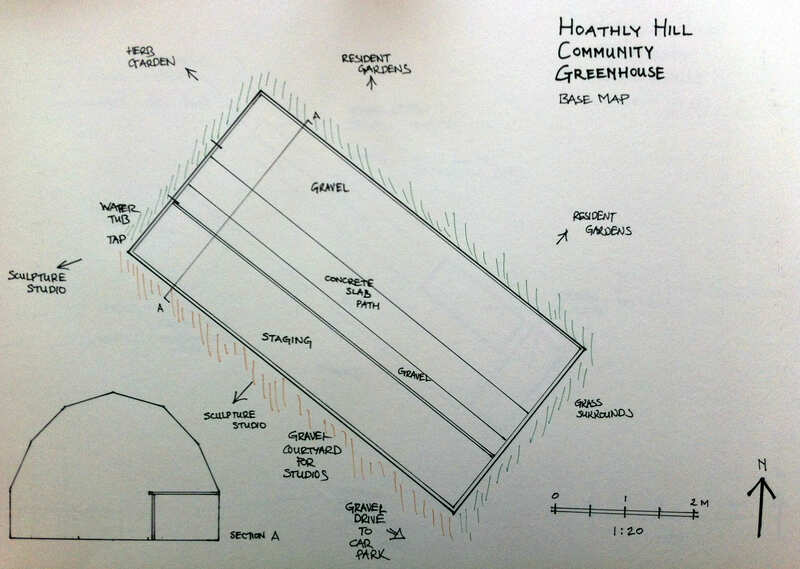 The infamous ‘chicken greenhouse’ detailed in Bill Mollison’s A Designer’s Manual and Patrick Whitefield’s Permaculture in a Nutshell and taught on many permaculture design courses. 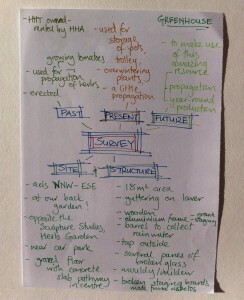 An example design. 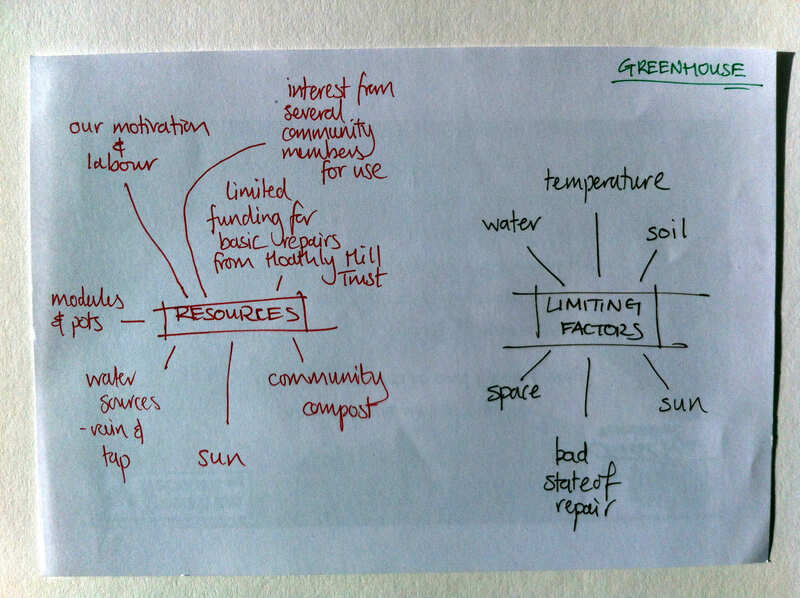 A video of a typical permaculture session. Darrel Frey’s farm in Pennsylvania called Three Sisters and his book, Bioshelter Market Garden: A Permaculture Farm. Buckminster-Fuller geodisic dome greenhouse: one at La Loma Viva. Chris Marron’s Perpetual Harvest Greenhouse System (PHGS). 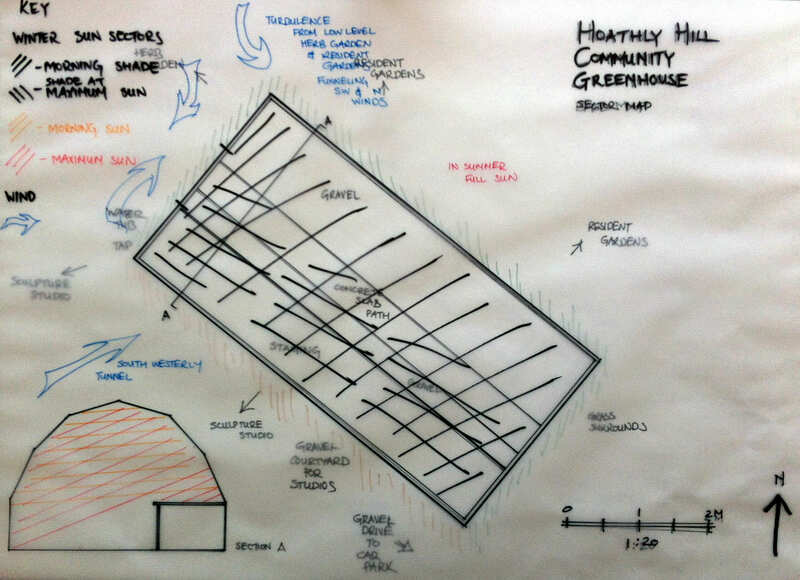 Andrew Collins’ Subterranean Heating and Cooling System (SHCS) greenhouse documented in the Permaculture Magazine. 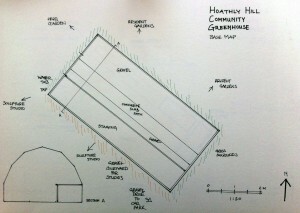 Underground greenhouses documented in the Permaculture Magazine. Permaculture Magazine’s Tim and Maddy Harland’s ‘mini-forest garden greenhouse‘. Greenhouse aquaponics systems: one example here.